From our 2018 Project KidSafe series on toy safety. For parents and grandparents, the best part of the holiday season is treating children to fun and special toys. As you shop, do your research so you only buy safe and age-appropriate toys. Not every toy on store shelves is safe and each year, there are thousands of toy-related injuries and even deaths in the U.S.
How does this happen? Product manufacturers, distributors and retailers can be outright deceptive, make labeling mistakes or fail to meet their responsibilities somewhere along the supply chain. Some companies and vendors will even keep selling toys after they have caused injuries. As part of our Project KidSafe campaign, the Boston personal injury lawyers at Breakstone, White & Gluck are committed to sharing safety information about toys. We urge you to read our article and protect your family. Federal safety standard for toys. 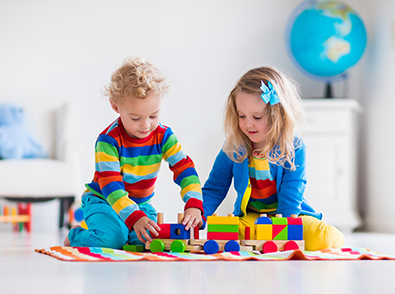 ASTM F963 is the federal safety standard for toys. All toys intended for children 12 years of age and younger must be tested by a third-party testing lab and meet the most recent version of this safety standard. Toy recall alerts. Each year, the Consumer Product Safety Commission (CPSC) recalls thousands of unsafe toys, along with other products. These recalls are an easy-to-access tool to protect your family. Search the CPSC recalls. Or sign up by e-mail to receive future CPSC recall alerts. Buy age-appropriate toys. Read the age recommendations on toys before purchasing. Read warning labels. Toys are required to carry warning labels for specific hazards, including toys with small parts, sharp objects and balloons. One of the most important labels is for toys with small parts. Toys with small parts are required to undergo a third-party "small parts cylinder" test. The cylinder is 2.25 inches long and 1.25 inches wide – this is supposed to mirror a young child’s airway. Toys which fit through the tube and are marketed toward young children under 3 can still be sold, but they must be labeled with a choking hazard warning. For small balls, the requirement is 1.75 inches in diameter. Check online order packaging. If you buy online, open the toy when it arrives and check the age recommendations, the number of pieces and packaging to make sure it meets your expectations. Strings and cords. Buy cord-free toys. Toys with strings and cords are a strangulation risk for infants and young children. Balloons. Balloons may look like a lot of fun, but they are the leading cause of suffocation death of young children, according to the CPSC. The CPSC has recommended parents always supervise children under age 8 when they play with balloons. Our suggestion is to keep all children away from balloons because injuries can happen quickly, before a parent can respond. Children can suffer serious injury if they try to blow a balloon up and accidentally inhale it (which can too easily happen, even if a parent is standing by). After a balloon pops, a child can find one of the pieces days or months later, when you least expect it. Button batteries. Toys and products with button batteries are highly dangerous. Children can find the tiny batteries and swallow them, leading to serious internal injuries. The scary part is these batteries are all over the home. Look for calculators, remote controls, holiday ornaments and cards, watches and flameless candles. Toss what you can. Button batteries which stay in your home should be fully encased in a device, behind screws. Keep these devices out of your child’s reach. Read more. Projectiles and flying toys. Read the age recommendations when buying Nerf guns, drones or remote control helicopters for children. When it comes to drones, our view is your child will never be old enough, even if the packaging says otherwise. As for the other products, ask a few key questions: Can you or another adult supervise the child? Where will you use it and how much room do you need? Could this toy harm other children in your home or on your street? Do your online research, too. Check the CPSC website and read anything you can find on injuries. Magnets. Keep those popular desktop magnet toys out of your home. Never buy them as gifts, not even for other adults. Children can easily swallow pieces from these circle and square magnet clusters. When a child swallows multiple magnets, they can come together in their gastrointestinal system. The CPSC has reported thousands of injuries sending children to hospital emergency rooms and at least one child's death. For years, the CPSC has worked to protect consumers from these magnet sets, pushing for recalls and full refunds for consumers. Companies have been forced to stop selling products, but other companies have popped up. It is unfair, but families have to be vigilant when shopping and accepting gifts. Fidget spinners. Fidget spinners are another toy with small pieces which can harm children. Fidget spinners were originally marketed to adults, children, anyone who would buy them. They are now required to carry age recommendations of 14 and older. Our advice is just avoid buying them. There are safety questions continue beyond the small pieces. In 2017, the non-profit PIRG Education Fund found certain spinners sold at Target had dangerous lead levels, exceeding the legal limit. Riding toys. Carefully consider this type of purchase. Battery-operated riding toys can overheat and be hard to stop or maneuver, a serious risk when motor vehicles are nearby. These toys accounted for almost half of all toy-related deaths in 2016 (Source: CPSC). Read more. Electric toys. Electric trains and remote control cars are entertaining at the toy store. When you buy, read the age recommendation and warning label. Prepare to help your child with electric toys because they can overheat, causing painful burns and cuts or get caught in a child's hair or clothing. All of these things can cause physical injuries and be highly stressful. Hoverboards. If your child asks, just say no! If you end up buying one, always check for product recalls on the CPSC website. The first generation of Hoverboards sparked many home fires while lithium-ion batteries charged. Two children tragically died in a Pennsylvania home in 2017. Hoverboards should comply with the UL2272 safety standard, according to the CPSC. However, in this case, the agency clearly warns consumers the standard is not a guarantee. In 2017, the CPSC specifically warned consumers to avoid the LayZ Board brand. Meanwhile, nothing has changed on the Hoverboard design. A child can still step on a Hoverboard and fall hard on the ground, putting them at risk for spinal fractures and head injuries. Freebies and hand-me-downs. When one family member gets a new car seat or stroller, another family member often gets a hand-me-down. There are some cases when it's best to simply purchase your own equipment, such as with car seats. But if you do want to accept a used children's product, carefully inspect it for breaks and tears. Check the model number on the CPSC website and online for any recalls. Children’s products are frequently recalled. Taking time to check can save your family injuries, suffering and heartbreak. Old toy chests. Always double check toy chests and wooden chests because of the Lane Furniture recall. In 2018, the CPSC announced 14 children had died because the cedar wooden chests have defective latches. They chests were manufactured between 1977 and 2015. They are marked "Lane" and "Virginia Maid," if you look closely, but they lack other distinguishing features. They have been recalled several times over the years. See the recall notice below. The Boston law firm of Breakstone, White & Gluck specializes in representing those injured by defective products across Massachusetts. We offer this safety article to help families avoid unsafe toys and learn about deceptive advertising practices. Learn more about our work on product liability cases.